Special Selling Event at Costco Wholesale! I couldn’t be more excited to announce a very special sales event with Costco here in the midwest region. 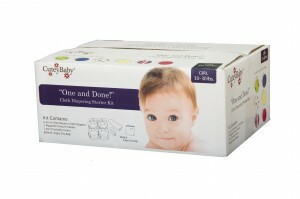 CuteyBaby will be selling a specially-designed Starter Kit at an unbelievable price beginning Friday, 1/29/10. Also we will have some of our new Zipper Dry Bags in size Large (24″ x 36″ – perfect for the nursery) and 6-packs of Biodegradable Liner Sheets at a great price. Special thanks to Costco for inviting us in to do this Event. Check the sidebar (at right) for dates near you! Please note – you must be a Costco Member to access this in-store event and purchase. 10 comments to Special Selling Event at Costco Wholesale! Ada: Christine and I hope to see you at the Glenview Costco in March, although it’s THISCLOSE to her due date, so we’ll have to play it by ear!! At the very least, you’ll see me!!…hmmmm.. maybe we can get out to the Oak Brook event!!! That would be great! Hope to see you at either location! From your mouth to corporate’s ears – we are working on California. Would love to bring CuteyBaby to the west coast! How did I not know about your diapers until today! I wish we had a costco so I could see them for myself! What a great idea! I LOVE THEM! It’d be nice to see these cloth diaper hit the Windsor, Ontario Costco. Will let you know if we come to Windsor! thanks! I would love to see these in the Costco in Colorado Springs, CO.